Its walls have helped some of the most creative minds of the last few generations forge their way into the art, design and fashion worlds – but it is now seeing its final batch of students through its slightly echoing halls. There has been an art college in Maidstone since 1867, when the Maidstone College of Art opened – initially in the town centre and moving to Oakwood Park in 1969. But in July 2014, the University for the Creative Arts (UCA) – previously known as Kent Institute of Art and Design – will pack up its easels and paint brushes for the last time. The college’s last 416 arts and media students will be the faculty’s final ones to study in the building, which was once home to artists such as world-renowned artist Tracey Emin. The final intake of students was made last year, after the entire site was purchased by neighbouring MidKent College. The legacy of students who have gone on to great things is still marked in the college. At the entrance to UCA, pictures hang showing some of the great names. They include Emin, pictured left, who graduated in Fine Art from the Maidstone College of Art in 1988. Now exhibiting alongside the likes of Damien Hirst, she was nominated for the Turner prize in 1999 for her piece My Bed, and is exhibiting at the Turner Contemporary gallery in Margate. 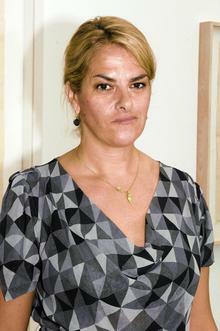 In 2011, Emin was made Professor of Drawing at the Royal Academy of Schools in London. But the town’s association with famous artists goes further back. Tony Hart, whose TV career spanned more than 50 years, and who grew up in Maidstone, graduated from the Maidstone College of Art in 1950. He died in January 2009, at the age of 87. Maidstone-born fashion designer Karen Millen, who still lives in Wateringbury, and opened her first shop in the town in 1983, also studied at the college’s Rochester campus. And Where’s Wally author Martin Handford graduated in 1980 from the Maidstone College of Art. MidKent College has already moved into part of the site, while UCA continues to lease a number of specialist art and design workshops to deliver its courses for the students still taking diplomas in art and design, graphic media, photography and illustration. But the college’s links with the town will not end when UCA finally shuts up shop.